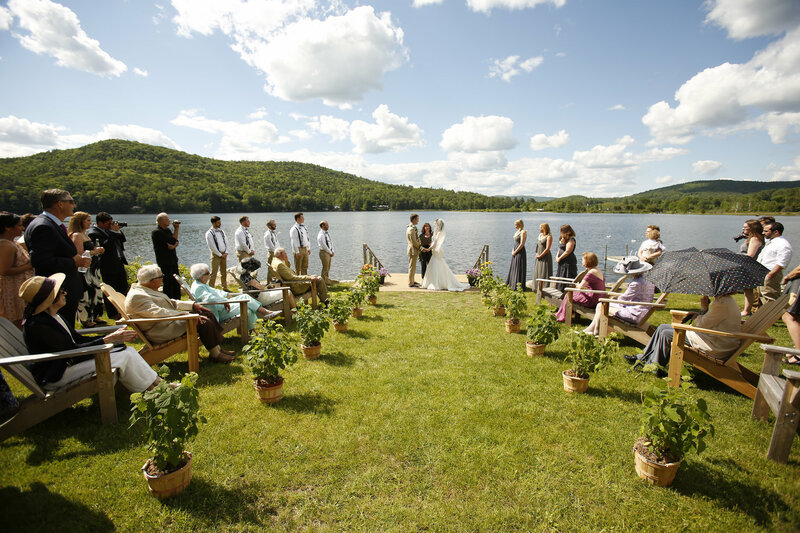 Did you ever dream of getting married in a beautiful setting, next to a crystal clear lake, with your friends and family in attendance, all able to walk down to the ceremony from their own rustic cabin in the woods? Your dream of a country wedding can come true! What is a Country Wedding? Loch Lyme Lodge in the small Norman Rockwell-like town of Lyme, New Hampshire is your dream destination. With 20 rustic cabins of various sizes on 120 acres of fields and woods next to a beautiful mountain lake, your wedding will be the envy of all. There are plenty of activities to keep your party entertained during the weekend, including canoeing and kayaking on the lake, tennis and basketball, hiking, horseshoe pits, and a roaring lake side campfire to gather around as night sets in. 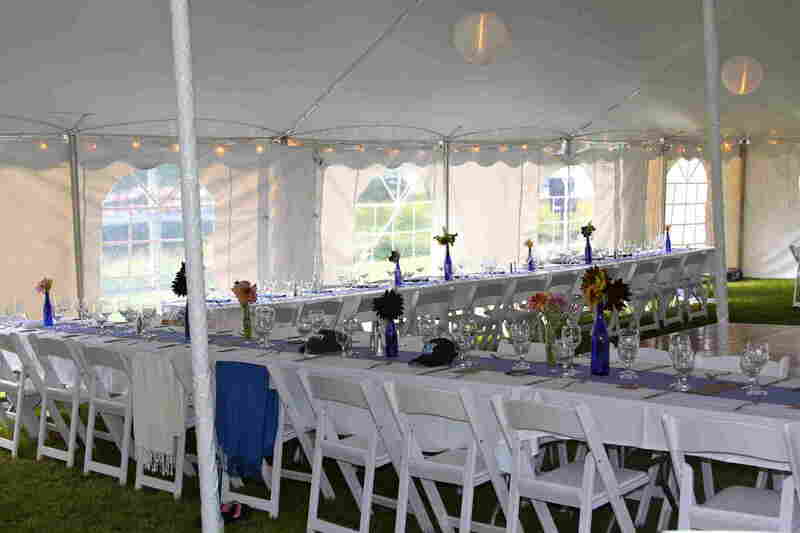 Many brides and grooms have commented that the Lodge was able to bring two families close together by shared experience on the grounds, beach, and facilities. No ordinary hotel - people find their own fun here, and often return for vacation in the years after. Read some descriptions of people's wedding experience at the Lodge. We would also be happy to refer you to some of our wonderful guests who have had their weddings here. Check out our Frequently Asked Questions for more details about weddings at Loch Lyme Lodge. And please feel free to contact us with any questions. Thank you for considering Loch Lyme Lodge!